The meeting room will be aproximately 2400 SQ/FT (Double last year's size). We will have a 600 SQ/FT vendor area as well as a 300 SQ/FT area for hands on demonstrations and small group classes. Event registration form and payment gateway will be provided shortly. Information on this page will be updated as we receive it, so check back often for the most up to date additions. John Walsh - Segmented Spectra Ply pen. Jim Hinze / Brandon Steele - Kitless / Bespoke pen. Patterson Grant - Setting up a Pressure pot. Robert Marquis Sr. - Engraving with a NEJE and 360 Jig. Fred Wissen - Casting a using a Gisi mold. Tina Wissen - Polymer Clay Blank Making. Jim Godoy & Leon Klepin - Custom segmenting blanks. 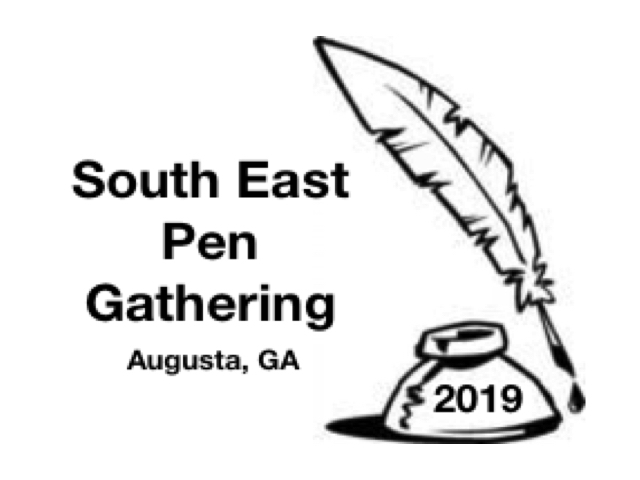 Copyright © 2018 Southeast Pen Gathering. All rights reserved.